Since established in 1989, Restoration Environmental Contractors - REC Demolition - REC Emergency Response have successfully completed over 9,000 environmental remediation and demolition projects throughout Canada, specializing in environmental remediation, demolition using CAT/Caterpillar Demolition Excavators, asbestos removal, lead abatement, mold remediation, industrial plant cleaning, plant decommissioning closures, site remediation and disaster recovery in the industrial, commercial, government, and institutional sectors. Restoration Environmental Contractors - REC Demolition - REC Disaster Recovery is proud to announce it's 20th Anniversary. 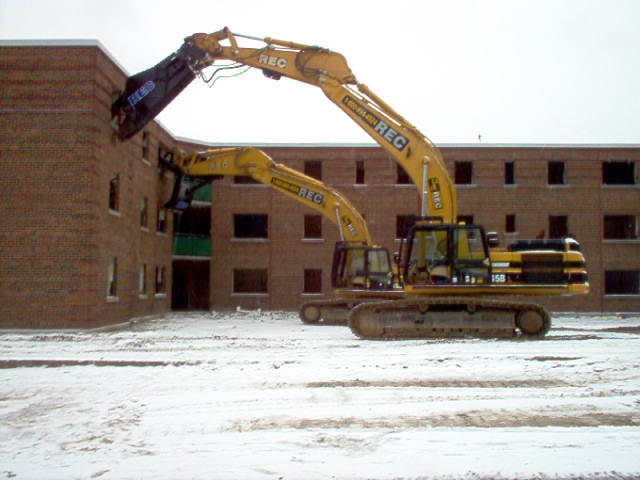 Since 1989, Restoration Consultants and Restoration Environmental Contractors has successfully completed over 9,000 environmental remediation and demolition projects throughout Canada, specializing in environmental remediation, asbestos removal, lead abatement, mold remediation, industrial plant cleaning, decommissioning closures, site remediation and disaster recovery in the industrial, commercial, government, and institutional sectors. The Passion Campaign is creating awareness by supporting 13 charitable organizations that are on the frontline for feeding the hungry, cold, poor and homeless, every day, living on Toronto streets, sponsored by Restoration Environmental - REC Demolition and Abcott Construction. Restoration Environmental Contractors (REC), experts in environmental remediation, demolition, live casino, disaster recovery, plant closures and industrial site remediation, has launched a plan to help businesses strengthen their competitive positions after the decision has been made to close plants, and further, promote a positive corporate image through retraining and employing the local workforce. To Announce The Launch of our Redevelopment Strategy and Anti-recession Campaign designed to work with businesses who have already decided to shut down their plants, Restoration Environmental Contractors - REC Demolition - REC Disaster Recovery are the Experts In Environmental Remediation, Demolition , Asbestos Removal and Plant Closures. We have the strategy, Cleanup your Sites Today! Canada's most experienced Plant Closure experts! The Right Choice in Industrial Plant Closure Decomissioning and Demolition call Restoration Environmental - REC Demolition. 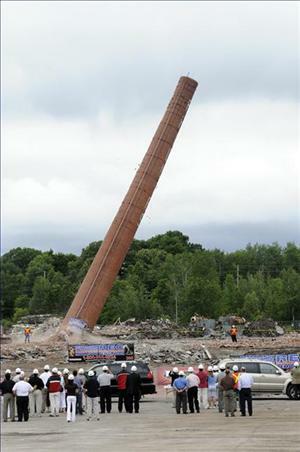 The smokestack at the 500,000-square-foot plant on King Street West was levelled without incident, touching down at 11:25 a.m. The event was part of continuing demolition work by Restoration Environmental Contractors (REC), on behalf of Junic Construction of Gatineau, Quebec. Invited guests inside the demolition area at the old Phillips Cable plant watch as the old facility's smokestack leans toward the earth during its demolition on Tuesday. See Tuesday's Recorder and Times for more on the smokestack demolition and plans for the future of the old plant site. Are you ready for a Disaster - Plan ahead in case of Fire Flood Water Damage and Natural Disasters Emergency Response with the REC Group of Companies. REC Disaster Recovery; REC Fire Water Flood Damage Restoration; Restoration Environmental Contractors and REC Demolition A REC DISASTER EMERGENCY RESPONSE SERVICE CONTRACT is your peace of mind for all industrial commercial governmental institutional and insurance companies. Four hundred households—more than 1,100 people—have been relocated from Canada's most famous and most-lamented low-income housing project, Regent Park. This is the beginning of Phase One of the Toronto Community Housing Corporation's Regent Park Revitalization project and and the start of what could be the most sustainable housing development in North America, if not the World. 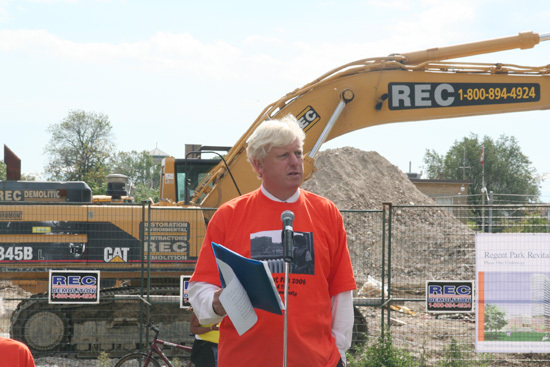 As the oldest social housing complex in Canada, Regent Park will soon be history, as REC Demolition crews started the process of dismantling the community. During the last 4 years several infants have experienced pulmonary hemorrhage or bleeding from the lungs - some of them died. Questions & Answers About Asbestos Exposure. Copyright © 1999 - 2007, Restoration Environmental Contractors.